Well, I'm a wee bit excited, because a little while ago, I was asked to teach a couple of layout classes at Stamp and Scrapbook Madness and I've just finished preparing them! Wahoo!! 3 patterns, 2 ways class - This cute little Crate Paper range was so much fun to work with! 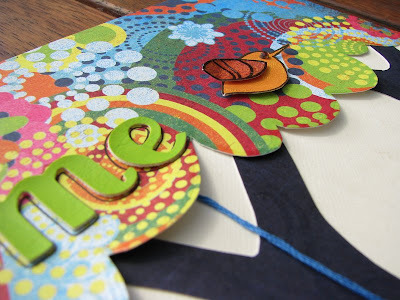 Paper Piecing class - These Basic Grey Lime Rickey papers are just divine - so rich and vibrant! but you'll just have to pop on down to Stamp & Scrapbook Madness (58 Holdsworth St, Coorparoo) if you want to see the real deall!! My first class (3 patterns, 2 ways) will be 10am-12pm next Wednesday, 13 May! Wish me luck!!! 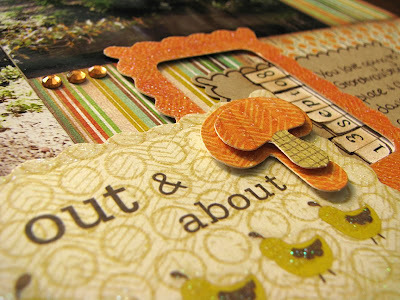 Check out the Stamp & Scrapbook Madness class timetable for more info. Oh! Good on you Leah!! I can just imagine the pages are fantastic. wow!! thats awesome Leah. the pages look great and i cant wait to see the full ones. Oohh these look so interesting Leah. Best of luck with your classes, I hope you have fun teaching. Can't wait to hear all about your class :) Your sneaky-peeks look intriguing.